The Tibetan National Congress (TNC) is deeply distressed by the divisiveness that has erupted at two of this year's March 10 commemorations. This is a solemn day when all Tibetans should be commemorating the sacrifices and bravery of our countrymen and countrywomen in 1959. Instead, the meaning of this day was overshadowed by unseemly actions and internal squabbles. Now is not the time to point fingers, or to cast blame as to what happened. There has been more than enough of that. Now is the time to rise beyond this and above this. Now is the time to rededicate ourselves to the goals which unite all Tibetans: restoring freedom for our homeland, and reuniting our fellow Tibetans inside Tibet with His Holiness the Dalai Lama. What unites us all as Tibetans — like these goals and the very blood that flows in our veins — is far more significant and substantial than any policy disagreement we may have among ourselves. We can and should accept diversity of opinion in our society, while still remembering that we are one society. And let us be clear: the whole "Rangzen v. Umey Lam" issue is basically a debate about strategy and interpretation. It is an important debate, and one which rightly generates strong opinions, but ultimately it is about strategy toward the collective goal of freedom. How can we let this divide us, when we are united in goals and loyalty and blood? There has already been some constructive discussion after the events of this March 10. TNC welcomes this conversation, and pledges to do our part to advance it. Therefore TNC solemnly declares its firm belief that what really matters is loyalty to Tibet, and to His Holiness the Dalai Lama as the embodiment of the nation, not support for one or the other strategy or interpretation. TNC invites the elected leadership of the Central Tibetan Administration (CTA) to join us in this declaration. We also invite the CTA to engage with TNC and with other members of Tibetan civil society, in an open and constructive discussion about how we can collectively ensure that unity is strengthened in Tibetan society. We believe this is a vital conversation to have now. We offer any participation or assistance we are able to provide to the legitimate elected representatives of the Tibetan nation, anytime and anywhere. We believe the time has come for some honest dialogue and action. Lastly, as a new political party, TNC pledges to the Tibetan people that, when we participate in Tibetan elections, we will do so with the motivations of patriotism, unity, and dedication to the entire Tibetan people. Throughout the course of Tibet's long history, our people have successfully maintained their unity in the face of many threats, both foreign and domestic. If our people triumphed over Tang Dynasty China, and refuse to be subdued by a half-century of brutal Communist Chinese occupation, then surely we can face up to an internal debate. We owe this to our ancestors, to our sisters and brothers in occupied Tibet, and to our children. 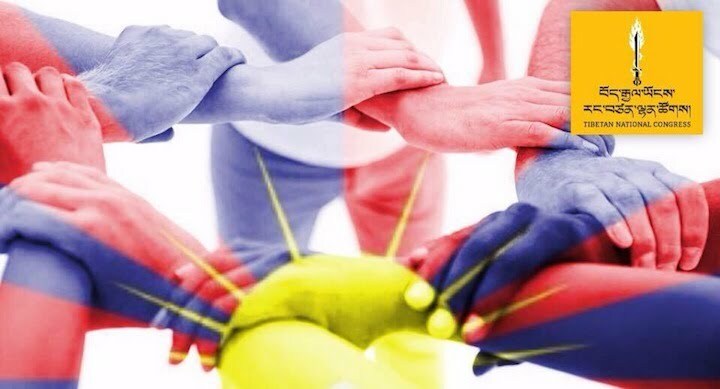 Together, the Tibetan people stand united, and will one day do so again in a free Tibet.